The Riverside Condos in Provo Utah are BYU Approved. The Riverside Avenue Condominiums are located at 1525/1533/1541/1547/1559 N Riverside Ave (550 W) Provo, UT 84604. These condos are BYU approved. 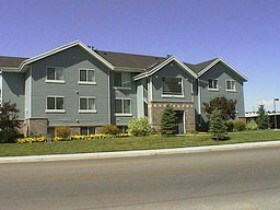 The Riverside Condos in Provo Utah were built in 1994 and have 60 units. These condos have not traditionally been FHA approved. Check with a local lender for the current FHA status. The Riverside Condos have covered parking, playgrounds and a community barbecue. I did some research on the Riverside Condos in Provo Utah this morning on the MLS. The MLS is the Multiple Listing Service that Realtors use. This database keeps a record of all the real estate sold since around 1995. It is an excellent source to gather information about sold or active properties. In 1995, the first recorded sold condo in the Riverside Condos sold for $99,000. Between 1995 and the year 2000 the prices climbed up to $120,000. Between 2000-2005 the prices stayed mostly around the $120,000 mark. However, one sold for $124,900. Prices climbed up to $147,000 between 2005 – 2007. Then they slightly dropped back down into the $120′s. In 2012 three units sold for between $107,000 – $112,000. If you own a Riverside Provo Condo and would like to know the current value contact Paul with Team Teasdale Realty by clicking the link below. We will quickly help you determine the value of your condo if you were to sell it in today’s market. Are you thinking about buying a Riverside Condos? This is a large complex and usually has one or two available. 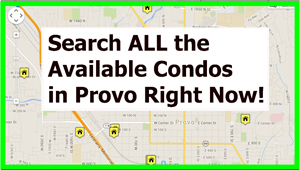 Paul will give you a list of other similar condos for sale in Provo. Paul has been selling condos in Provo since 1995. Hire a local Realtor that is experienced in selling condos.